With a cleaner estuary, it's hard not to sit and admire what the water should look like year round. "You'll remember what you're fighting for," said Emily Mauri, who lives in Stuart. But even as she takes it all in on Friday, she's still thinking about those alarming studies that keep getting released. "It's scary for the people who work in the water around the water," said Mauri. A r ecent study from the U.S. Geological Survey found when freshwater cyanobacteria, or blue-green algae, is exposed to salty water, freshwater algae dies, causing them to release toxins. Freshwater algae can make its way into the St. Lucie Estuary when the U.S. Army Corps of Engineers discharges water from Lake Okeechobee to the east and west . "Does confirm what we've observed," said Martin County Ecosystem Manager John Maehl. "Just another reason or compelling factor to keep our focus on taking the necessary steps to limit Lake O discharges." 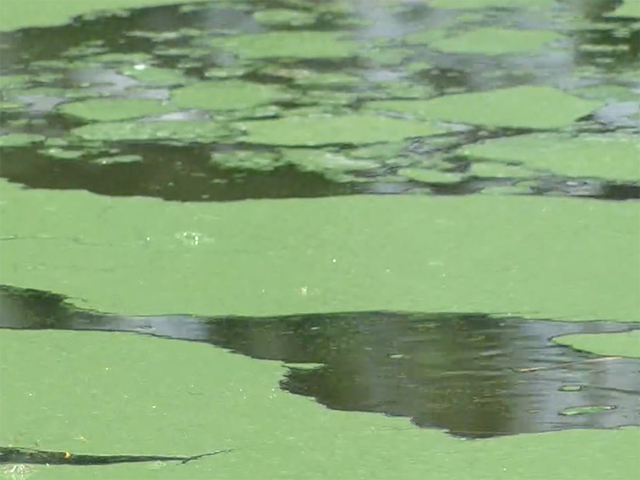 A spokesperson from the Army Corps of Engineers says they take all factors into account before making decisions on releases which includes harmful algal blooms.